Don't let the old ravers fool you. Their 90s free party nostalgia might brim with ogle-eyed romance full of mobile numbers passed under pub tables, cars parked on the side of motorways and missions across private land towards a bobbing sea of neon bucket hats, but give any one of them the chance to stumble from rinsing soundsystem to rinsing soundsystem spouting an unrivalled menu of underground sounds all housed in an evolving city enlivened by 400 actors, winding streets, bizarre shop windows, hidden venues and a festival-wide narrative that blurs every line of reality and I'm sure they'd concede that buying a ticket to exercise anarchy in (almost) control is worth it. 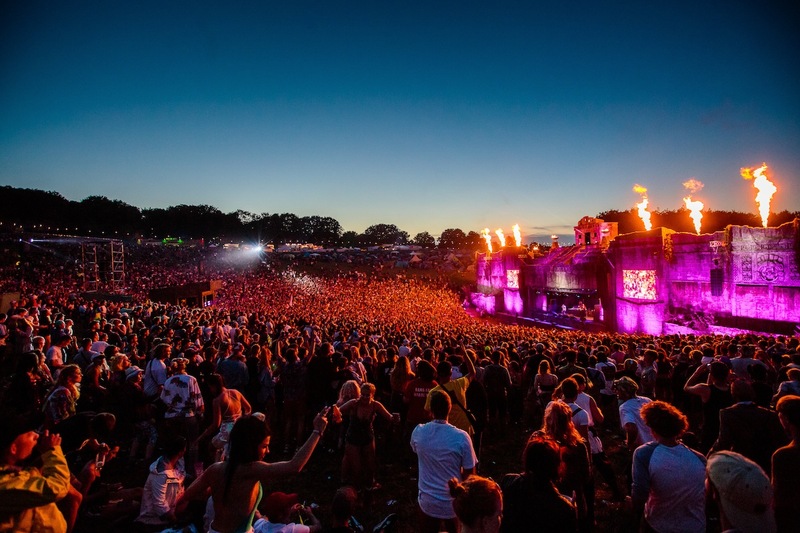 Raving has come a long way, baby, and it’s ended up at BoomTown Fair. 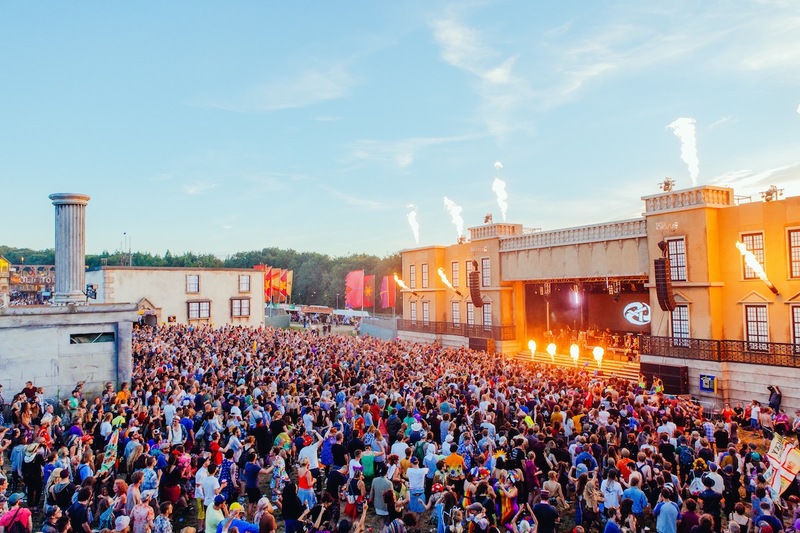 An immersive partying experience of monstrous proportions the UK’s fastest growing festival opened its gates for the eighth year running to welcome 50,000 festival goers to Winchester’s Matterley Bowl. Split into nine themed districts, each with their own style and sound, over 500 artists are billed across over 100 stages including multiple forest hideaways, The Jolly Dodger pirate ship, Sector 6 power plant, looming Bang Hai Palace, Scrapyard, The Old Mines, The Windmill and the festival’s now infamous labyrinth of city paths. There’s enough reggae, ska, ragga, jungle, drum n bass, house, breaks, garage, psytrance, techno, hip hop and folk on the line-up for any one of those genres to take up your entire weekend. Not forgetting the dub, dancehall, bluegrass, jazz, punk, world music, grime, dubstep, jungletek, gabba, ghetto funk, electro swing, spoken word, beatbox and breakcore to boot. Plastered around the festival are posters of Comrade Jose, the festival goer elected last year to Glorious Leader. Her troops guard the main stage and her slogans are sprayed across the city's walls. But an uprising is afoot. Whispers of a mysterious masked man and his team of rebels abound. Stage compares talk of a great revolution. Coded messages creep around every corner. Festival signs are changed to read ‘Rise Up’ in the middle of the night, then quickly changed back before morning. And punters are pushed to pick sides - revolution or regime? 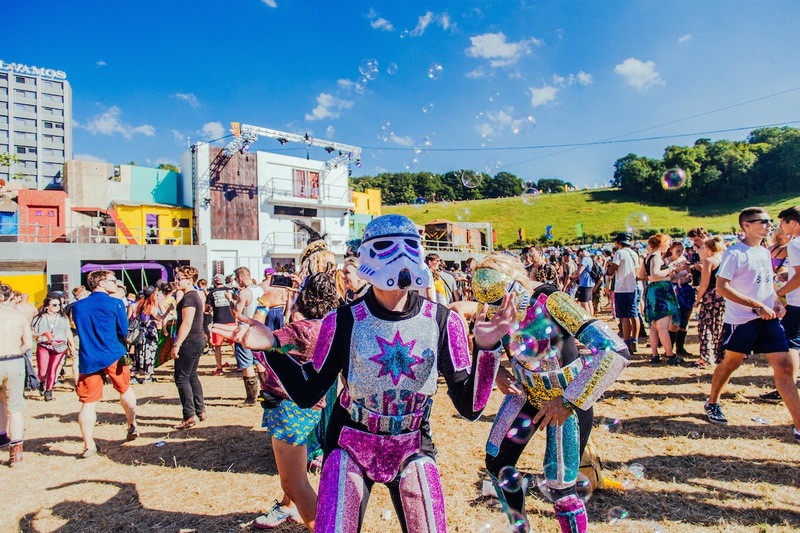 In fitting BoomTown style, we find our first festival gem by accident. Masked Australian trio Monster Zoku Onsomb pace the bandstand stage on Friday lunchtime, spitting their self-professed ‘jungle sixties punk from out of space’ with dalek filtered vocals to a crowd featuring a 15ft blazer wearing puppet with a wobbling CCTV camera for a head. The Windmill dancefloor is soon packed with up-stretched arms craning for a photo of Craig Charles. His quick-sharp remixes keep us on board for a half hour sunset boogie before a trek downhill to smirk with nostalgic satisfaction at the circle pits twisting through Asian Dub Foundation’s thundering Town Centre headline set. Breakbeat forefathers the Plump DJs go on to shake the foundations of the Bang Hai Palace. Returning for my fifth BoomTown after a year away, it was hard to imagine any structure could replace Arcadia’s fire-breathing limbs, but the criss-cross, multi-level Palace scaffolding flashing with giant lightbulbs and shooting fire cannons into the sky like Blackpool Pleasure Beach meets Mad Max is proof the spider was only the beginning. From breakbeats to bass, Mala pushes his globetrotting dub into far darker holes than the polyrhythmic Peruvian waves stretched through new album ‘Mirrors’. His shadowy, cracked synth lines splinter deep wallowing bass. At a festival boasting the UK’s largest reggae stage with an unrivalled dub line-up to boot, it’s a privilege to watch the South London DJ effortlessly craft the roots of the future. Saturday begins quietly, singer-songwriter Jess McAllister soothing the crossed-legged Floating Lotus crowd with her lullaby folk meets Regina Spektor like charm. As ever, Hollie Cook’s blossoming dub grooves prove she has all the style and soul of the next electro reggae superstar - think Little Dragon sweetness meets Prince Fatty basslines. If she hurries up with a new album, next summer will be huge. Ain’t nothing like a surprise Saturday afternoon breaks rave in a tiny, hidden post office. DJs dressed as steam punk postmen, the chance to send a real postcard (HI MUM WISH YOU WERE HERE) plus the ‘Ring For Reloads’ bell on the wooden counter-top really bring the eight person strong crowd together. For all the breath taking stage set-ups, some of BoomTown’s most magical moments lie deep in the woods. Small stages shimmer beneath speckled green canopies and watching the drowsy sunshine roots of IQulah Rastafari’s six piece dread squad with a frozen strawberry daiquiri came close to summer perfection. On to turntablist wizardry and boom bap bars from DJ Format & Abdominal followed by UK beatbox champ Reeps One, whose hour long set spanning almost every bass shaking genre on offer at BoomTown proved his vocal dexterity and ear for invention remains unrivalled. Bombarded by bass, Sunday’s highlight came from virtuoso folk trio Lau. Guitar, vocals, fiddle, accordion, keys and electronics, what started as unobtrusive acoustic meditation quickly transformed into all encompassing transcendence, the intricate melodic movements through set closer ‘Torsa’ as euphoric as any bass drop. Of all the wandering sideshows - from women walking on glass to robotic arms, heads stuck in fish tanks, projector hats and electric chairs, perhaps the most bizarre was Mr. Party Time. Stripping to his pants on a small one man band stand adorned with strange instruments and a single palm tree, he circled the crowd shouting “party time’ before playing a cymbal with the head of a ventriloquist doll and handing out free shots of tequila. Who says the job market is floundering, eh kids? BoomTown’ll have you. Our final evening begins with the much loved soul skank of Fat Freddy’s Drop. Echoing around the Lions Den amphitheatre floating horns stretch into house, drawing the swaying, loved-up crowd into a bouncing mass ready for one last night. 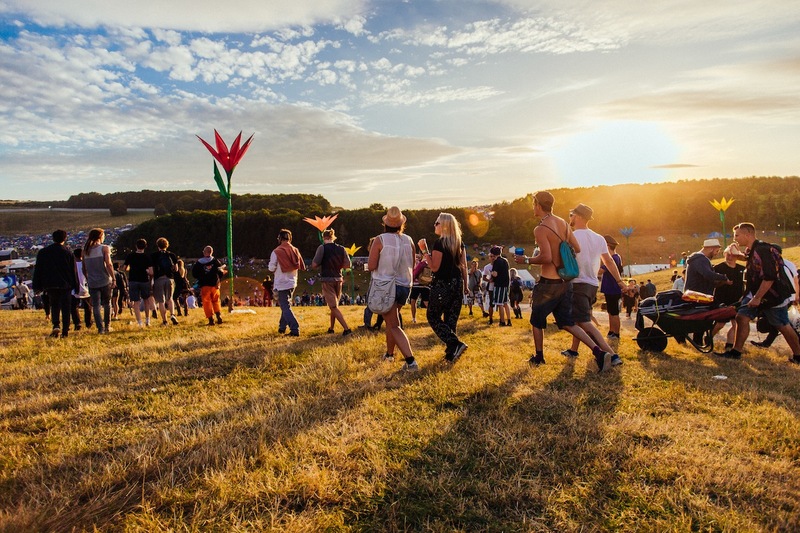 Of all the genres on offer, it’s drum n bass that pours from the biggest speaker stacks. The huge Bang Hai Palace and Sector 6 arenas are a DnB steppers paradise. Both take AV to the next level but Sector 6 really ramps it up, housing its DJ booth in a rusting, dystopian power plant flanked by huge gurgling tanks all joined by a web of churning video screen pipes.